Gymnastics rings have been around in some semblance of their modern form since the early 1800's in Europe and North America, but it wasn't until 1924 that this amazingly simple and effective fitness equipment was brought into the Olympics, and the public eye. Since then, the gymnastic ring has gone from being a wooden or rattan circle attached to leather and hemp or steel 'ropes,' to a high tech, high impact resistant device with a textured grip, variable thickness and bounce absorbing, quick adjust nylon straps. Gymnastics training enthusiasts have many quality brands to choose from today, and we help sort out the best of the best below. Do a search for gymnastic rings on Google or any other search engine and you will inevitable run into the three brands below. Why? Because whether through marketing, sheer customer satisfaction, or both, these companies dominate this product category. 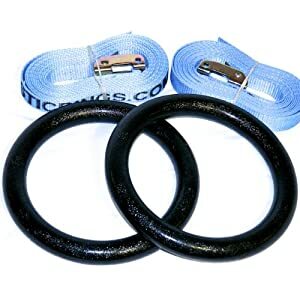 This company is dedicated to providing the best gymnastic rings on the market, and at the best price. Sounds like every other rings company out there right? Well, with gymnastic rings being their main focus, they are able to design some unique details into their rings while keeping the price well below comparable competitors. As with all good rings, they weigh in at less than 3 pounds, can be set up quickly at any sturdy anchor point, and have handles made of an almost indestructible material. As with most competitors, the 2 adjustable straps extend to 17 feet. The Elite Rings biggest sellers are the EXF rings and the EXF rings Pro, which price in at about $71 and $95 dollars, respectively. Don't bother shopping these on Amazon either, the price is about the same. The difference is, if you buy through the Elite website, they will give you free shipping. It is hard to argue with the value of the X-Fit rings. 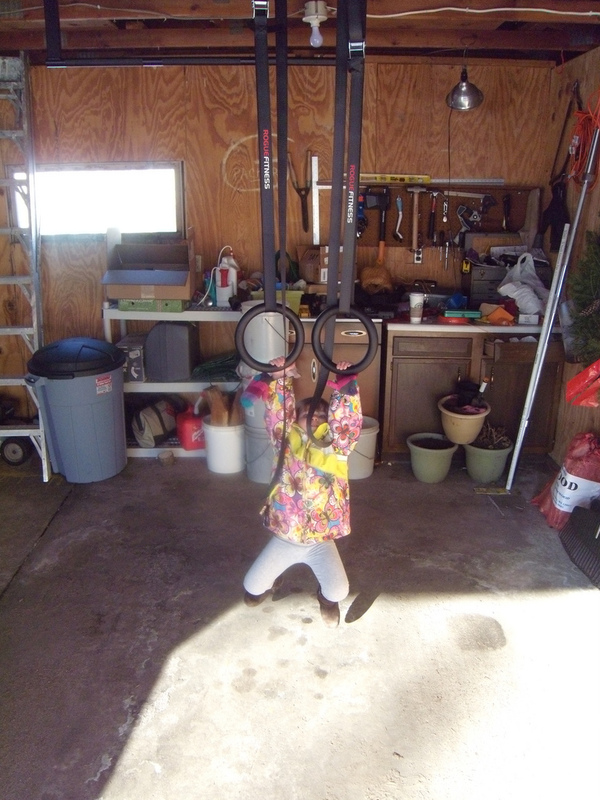 At $50 bucks plus shipping (on sale,) they offer long adjustable straps (to 16 feet,) a Gymnastics Federation certified ring diameter and strong handles made from ABS plastic. Sure, the handles aren't made from riot shield material, but it might take a bullet or two to destroy them. It's no wonder these rings are top sellers on Amazon and can be found in Crossfit gyms all over. The Best Rings on the Market? So if the manufacturers above make an amazing product, what more could possibly be done to improve on such a simple apparatus? Well, as it turns out, a lot. Subtle differences make or break a product for enthusiastic amateurs, collegiate and professional gymnasts. The American equipment strength equipment manufacturer Rogue Fitness has gone above and beyond to take their rings quality to the next level. The Rogue Crossfit rings are made of TIG welded steel treated with zinc phosphate plating. That's straight from their website, and while it means the rings will probably last forever, it also means the metal isn't going to corrode. The use of heavy gauge steel only adds to their indestructibility. Another twist on traditional gymnastics rings is the addition of Ranger Green and Desert Tan straps, in addition to the standard black. The 2 straps are 1.5" wide, and extend to 16' each. The handles have a slight texture to them as well; just enough to hold chalk. So what does all this mean when it comes to cost? At $71.50, they are right in line with their competition, price-wise at least. Which rings should you choose? Certainly the best pair you can afford, and if you can afford the EXF, EXF Pro or Rogue rings, these are arguably the best choices on the market today. Perhaps the difference comes down to the feel of the handles: Do you like the tough coated metal of the Rogue rings? Or do you prefer the thick 'riot shield' textured plastic of the EXF? Either way, your purchase is going to last you for a long, long time! Well working with the Gymnastic rings is of real and keen importance and a added advantage to your workout sessions. Working out with Gymnastics rings is an excellent cardiovascular exercise with many health benefits. It’s also a great way to get an effective workout in between your normal routines. It provides an effective core workout, improved arm and leg strength, improved body balance & flexibility, better blood circulation.